Looking for Chlorine Free Pools in Florida? Quite a few of them belong to gyms or sport centers which also provide lessons. Traveling to Florida? This is the appropriate spot on the internet to find locations to swim in Florida. Each day you are not swimming you're losing precious time to increase your skills a be a superior swimmer! No much more excuses!. Please check the nearest Swimming Pools or Contact us to ADD IT. It's totally free! There are generally discounts available to senior citizen and modest youngsters. Find out by contacting your nearest pool in Florida. Please, use the contact facts provided at every pool profile. These would be the Chlorine Free Pools in Florida other users have reported. Are you a local and your pool is not listed? Contact us to ADD IT. It's absolutely free! Let us let you know a secret to switch off whilst you will be in Saint Petersburg: just choose a Swimming Pool in Saint Petersburg and plunge into the water! There's no more powerful system. Swimming can be a great concept to help keep your body active for the duration of your visit to Hialeah (Florida), or even if you are a local. Swimia helps you to find your closest Swimming Pool in Hialeah. Without a shadow of a doubt, swimming in Miami would be the finest technique to unwind after work. 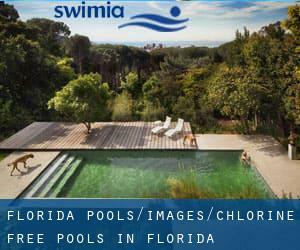 Take a couple of minutes to browse Swimia's catalog to find a Swimming Pool in Miami. It's difficult to visit Florida devoid of dropping by Orlando (with 238.300 residents). 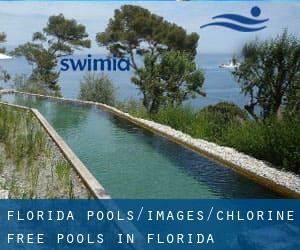 Currently Swimia is showing you all the Pool in Orlando and also the closest pools located in its vicinity. Whereas Tampa is one of the six most populous cities in Florida with nearly 335.709 residents, you shouldn't miss that one if you're going to Florida. Holding an estimated population of 821.784, Jacksonville is among the most important cities in Florida. Check all the Pool in Jacksonville and its surrounding area. Updated on 2019 3311 Pacific Blvd. S.W. , Albany , OR , USA (Postal Code: 97321). This sports center delivers 25 yards, 4 lanes, Salt Water, Non-Chlorine Sanitized, Indoors. For this Swimming Pool, only phone number is number here. Updated on 2019 Harvey West Park , 275 Harvey West Blvd. , Santa Cruz , CA , USA (Postal Code: 95060). Among all the activities offered by the center, should you be keen on swimming you might enjoy 25 yards, Non-Chlorine Sanitized, Outdoors. Just in case you would like to contact this Swimming Pool before dropping by, we only know the phone number. Updated on 2019 7956 178th Pl. N.E. , Redmond , WA , USA (Postal Code: 98052). Among all of the activities offered by the center, if you are interested in swimming you can expect to take pleasure in 25 yards, 5 lanes, Salt Water, Non-Chlorine Sanitized, Indoors. If you must contact this Pool, email address and phone number are both number. Updated on 2019 1025 NW Gilman Blvd, Suite E-8 , Issaquah , WA , USA (Postal Code: 98027). This sports center delivers 25 yardsm, 5 lanes, Salt Water, Non-Chlorine Sanitized, Indoors. Contact data for this Swimming Pool such as phone number and e-mail address are number. Updated on 2019 9 Main Street , Vineyard Haven , Martha´s Vineyard , MA , USA (Postal Code: 02568). Among all the activities supplied by the center, if you are enthusiastic about swimming you might delight in 25 yards x 21 feet, 3 lanes (circle swimming), 3 feet - 9 feet depth, Non-Chlorine Sanitized, Indoors. If you'll want to get in touch with this Pool, email address and phone number are both number. 3455 E. Zoo Court , Tucson , AZ , USA (Postal Code: 85716). Swimmers like you reported 25 yards, 4 lanes, Non-Chlorine Sanitized, Outdoors. Unfortunately we do not have the e-mail address of this Pool, but we can give you the phone number. Updated on 2019 1 Main Street , The Village at Grand Park , Fraser , CO , USA (Postal Code: 80442). This sports center provides 25 yards, 4 lanes, Non-Chlorine Sanitized, Indoors. Contact information for this Swimming Pool just like phone number and e-mail address are number. 350 South Dahlia St. , Denver , CO , USA (Postal Code: 80246). Few days ago a common user of this center told us they offer 25 yards, 6 lanes, Outdoors. Furthermore, they keep in good conditions 20 yards, Salt Water, Non-Chlorine Sanitized, Indoors. For this Swimming Pool, only phone number is number here. Updated on 2019 6699 Bay Laurel Place , Avila Beach , CA , USA (Postal Code: 93424). Among all the activities offered by the center, if you are interested in swimming you will enjoy 25 yards, 6 lanes, Non-Chlorine Sanitized, Outdoors. If you need to contact this Pool, e-mail address and phone number are both number.